While the Higgins-Verbeck house once at 2619 Wilshire is the best-known of Los Angeles's mobile homes, primarily because it has been standing as a curiosity at its second location since 1923, it was far from the only house to lumber west on the boulevard with people carrying on inside. 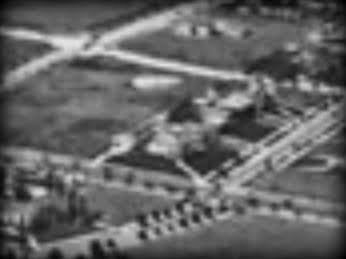 Although only the haziest of aerial views have emerged of the house built at 635 South Western Avenue in 1913 by prolific local developers the Althouse Brothers and moved by Superior Court Judge Charles S. Crail to the northwest corner of Wilshire and Arden boulevards eight years later, it does have an interesting history. As tract after tract opened out along Wilshire Boulevard after the turn of the 20th century, one's choice of building lot was an economic crapshoot. Many were drawn to the Wilshire corridor, and especially to its main drag, for its investment potential. Some chose boulevard frontage with the understanding that it was destined to be a residential avenue, as per the covenants of Gaylord Wilshire's original tract between today's MacArthur and Lafayette parks, not yet perceiving the ramifications and randomness of the city's explosive growth. Others chose the boulevard for its growing prestige, which canceled out its increasing traffic as Angelenos took to the automobile in a growing frenzy. Some, especially men in the real estate trade, built on spec on the boulevard, or for their families, anticipating a short stay—they knew that spiraling land values would more than pay for a new house in a new subdivision somewhere, probably west, or even for the move of the house itself to a new lot. Those interested in settling for more than a few years bought lots at least a quarter of a block north or south of Wilshire, though even this strategy could be undermined as the city chose to designate and widen key north-south streets to accommodate exploding motor traffic—if you happened to have staked your domestic future on a major new boulevard such as Vermont or Western, for example, you may have found the distance between your front door and the curb shortened uncomfortably and your tranquility invaded by clattering valve trains and klaxons. Such was the fate of 635 South Western Avenue, built by Daniel and John Althouse after the Department of Buildings issued the team a construction permit on June 6, 1913. Its 11 rooms were soon occupied by 94-year-old Elvenia D. Jackson and her newly widowed daughter Mrs. Abbie E. Krebs. As fate would have it, it would not be very long before city boosters and real estate operators in the Wilshire District were touting the intersection of Wilshire and Western as the busiest in the world, motor-vehicle-wise. Born in New Hampshire, Elvenia D. Jackson had come around the Horn in 1853, spending most of her life in San Francisco before beginning to live for part of the year with her grandson, lumberman Clarence E. DeCamp, on West Adams Street. Her daughter, living in San Francisco, had long since become that rare 19th-century phenomenon, the female politician, or at least, before suffrage, a female fervently interested in the Republican party. After Mr. Krebs died in 1914, it appears that Addie decided to buy a Los Angeles house just for her mother and herself. Six-thirty-five South Western Avenue was situated on Lot 3 of Block H of the Westminster Place tract, just north of Wilshire. The ladies bought it for their dotages, or so it might have seemed. Addie wasn't resting, however; she remained active in politics, and she married her third husband, James E. Wilkins, in July 1917. Plans changed. Removing with her mother to San Mateo to live with Wilkins, Addie put 635 on the market immediately. No doubt more for investment than to live in, Triangle Film Corporation star and pioneer woman director Margery Wilson bought the house in November. Two years later, it was the property of Judge Crail, another one no doubt wise to the investment potential of a lot hard by the busiest intersection in the world. It's likely that the judge knew something in particular that the actress didn't. Given his connections in city hall and in finance, Crail might have known of the newly chartered Western State Bank's interest in a Wilshire/Western location for its headquarters. Profiting handsomely, Crail sold his property—but not the house Elvenia Jackson had built on it eight years before—to Western State and obtained a relocation permit from the Department of Buildings on December 24, 1921. Crail would take the house with him, sleeping and shaving in it as it trundled west on Wilshire Boulevard. The December 30 issue of Southwest Builder and Contractor noted that the judge had contracted master house mover George R. Kress to relocate 635 thirteen blocks west to 645 South Arden Boulevard, the official address of Crail's lot in his new subdivision, the small Wilshire Heights tract sandwiched between Windsor Square and newly opened Hancock Park. 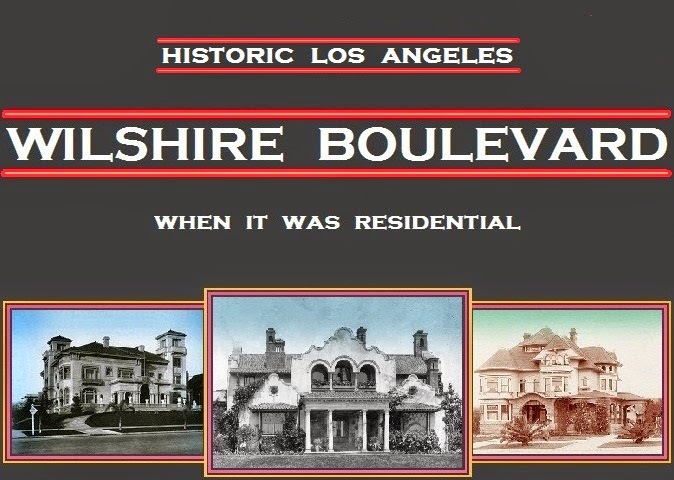 While covenants of Wilshire Heights dictated a side-street building orientation, adapting a boulevard address was apparently not prohibited. At 9 p.m. Saturday Judge Crail remarked to his wife: "We're off!" "I do believe we are on our way," she replied. They were in their sitting room, at their usual places and the house which the Crails have occupied for a long time [sic] was moving slowly but smoothly down Wilshire Boulevard. It was like a full-rigged ship getting under way, dipping slightly, but unlike the ship, it did not gather speed. So, after enjoying the novel experience of living in a peregrinating house, the Crails went to bed.... Sunday Judge Crail arose with a yawn and saw the street swimming past. He got out his shaving utensils and shaved to the gentle rocking of the house. He ate breakfast and lunch and dinner, but he did not saunter out, for the house was elevated seven feet above the pavement and the ladder they used to enter it was stored in the booby hatch. Monday morning the house was being settled on its new foundation at the northwest corner of Wilshire and Arden Boulevards. The judge and his wife were recovering from a slight seasickness. Otherwise they enjoyed the novel trip down a fashionable boulevard. Judge Crail sold the lot he owned at Wilshire and Western avenues to the Western State bank, with a clear profit of $27,000. He would not part with the house, which contains fourteen rooms and four baths.... The building was intact when it arrived at it destination. The plaster was not cracked and every picture was in place. The table with its china and silver stood as usual. Nothing was out of place. Which speaks for moving de luxe. Construction on the Western State Bank began almost immediately; it opened on July 1, 1922. Six months later, the bank and its new building transmogrified into Orra E. Monnette's new—and the original—Bank of America. Life in the Crail house—which had never stopped, apparently—carried on at 4451 Wilshire Boulevard. As with corners all along Wilshire to the east, those in what came to be called the "Park Mile" segment of the avenue, from Wilton to Highland with 4451 about a third of the way west, became less desirable as traffic increased. The stretch was quasi-commercial; nearby residents wanted to keep highrise development at bay, which they did, though at the price of spotty development, with barren and weedy lots, parking lots, nondescript office buildings, and a motel or two. Nothing distinguished, but perhaps better than the aged corridors of tall building elsewhere on Wilshire. 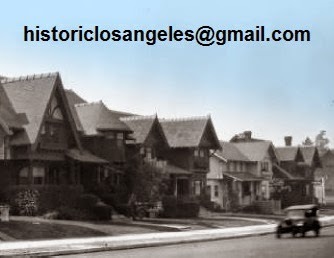 During the 1920s, at least, a Wilshire address in the Windsor Square/Fremont Place/Hancock Park area still counted for something. 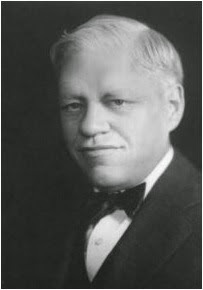 Charles Crail's twin brother Joe, a member of the U.S. House of Representatives from 1927 to 1933 who lived with the judge's family as late as the time of his 1920 marriage, eventually rejoined the clan when he and his wife occupied 4444 Wilshire, caddy-corner to 4451, from 1932 to 1937. The twins invested in real estate during these years; after his tenure in Washington, Joe resumed his law career as Charles moved to the California Court of Appeal as an associate. He had become the court's presiding justice by the time of a fatal heart attack at home at 4451 Wilshire Boulevard on June 1, 1939. His widow left 4451 soon after; the house fell into various commercial uses until the Department of Building and Safety issued demolition permits for the residence and its garage on February 23, 1954.